On the final day of school there was a friendly basketball match between the teachers and pupils of sixth class. These games were keenly contested and great fun. Also, Ms Pauline Fahy organised a slow bicycle race for the lads which was great fun. Click on above link “Teachers vs 6th Class” for excellent photos of same. Please click on link Awards Night 2011 which is located to the right of the screen in the Main Section. There youwill find a full report and fantastic photos of what was a wonderful night in Holy Family BNS. 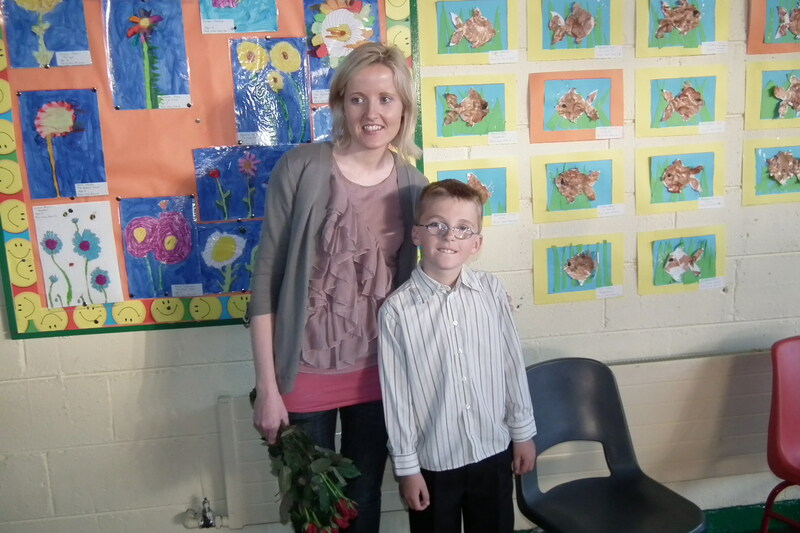 Photo shows Class Teacher Ms Delaney with her student Tom Paegle, who was awarded Exceptional Ability in an Academic Area. Well done everyone. We had two very enjoyable sports station days. One Junior and one Senior. 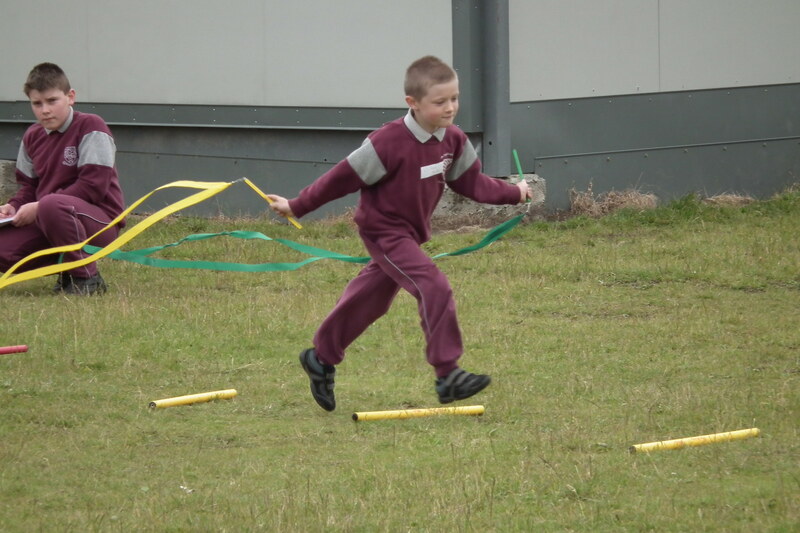 Each child had to complete 14 different sporting activites as part of a team. These ranged from rugby kicks, caterpillar races, last man standing, sticky ball target etc Click on Sports Day 2011 link in Sports Section to the right of screen for loads of photos. These photos were taken by sixth class pupil Sean Byrne. Sixth class pupils had an enjoyable day in Holy Family GNS programming Lego bricks. Children from various schools had to create a robot using a programmable brick. This robot was programmed to respond to sound, light etc. and had to complete various tasks such as scoring a goal! This was part of Eigse Week and was sponsored by IBM. It was great fun for all concerned. Photo shows Mr. Mavroudis, Software Engineer and past pupil of Holy Family BNS assisting 6th class pupils from Holy Family BNS creating their own robot called Killer!